Straus Park is a vibrant residential community in Brevard, North Carolina that offers many real estate options with Condo’s, Town homes, single family homes and homesites. 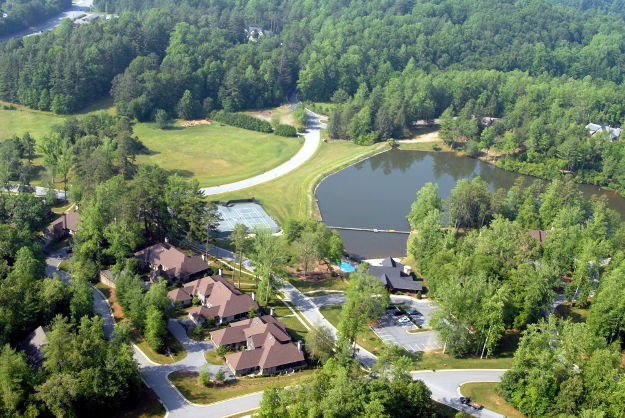 Surrounded by the gentle grace of the Blue Ridge Mountains, Straus Park is a wonderful place to call home with 315 wooded and pastoral acres and 62 acres of community owned green space. The single family homes in Straus Park range from 0.2 acres to 3.8 acres and 22 town homes and 30 condominiums that overlook the 7 acre lake and 14 acre long meadow. Inside the community is a business park which accomadates a bank, optician, dentist, insurance company, attorney, medical spa and market/grocery store. Straus Park is only minutes from the Transylvania County Hospital and being located in the Brevard City Limits every home site has city water, sewer, natural gas, cable and the streets are maintained by the city as are the street lights. The home sites blend into the natural landscape and follow the Developers “Mountain Harmony” philosophy so when a home is completed, it is a natural extension of the landscape. Relax in the evenings at the Lake House and grab the opportunity to get to know your neighbors, take a hike on the trails, meet with friends at the community garden or play a game of tennis. This truly is one of the finest communities the WNC.